It is often said that the best defense is a good offense. This approach is what makes IPMC so great at treating and preventing cardiovascular disease. Heart disease is the leading cause of death in the United States. Our doctors believe that regular visits and testing to prevent problems and to monitor existing ones are the best way to keep a patient healthy. Health complications can often be avoided through preventative care, which is made easier with IPMC’s testing facilities at our disposal. The most common type of heart disease that is seen by a cardiologist is coronary disease which is caused by elevated cholesterol levels. Other risk factors for coronary disease include genetics (abnormal family history), hypercholesterolemia, smoking, diabetes, etc. Patients with these risk factors can save themselves from future complications through testing and early treatment. Our facility offers a full range of tests including electrocardiography (EKG or ECG), Holter monitoring, echocardiography, nuclear stress testing, stress echocardiography, and cardiovascular CT angiography. Best of all, these tests are performed at the same facility and often at the same time as your doctor’s appointment and are supervised and read by the same doctors. This creates a much more personal approach to the doctor-patient relationship. 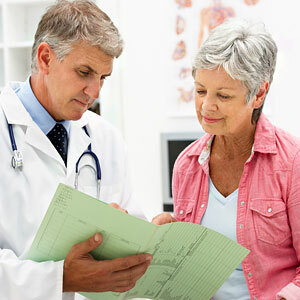 IPMC Cardiology is a group of physicians dedicated to the treatment of cardiovascular disease. We are board certified in both internal medicine and cardiovascular diseases. Within our group we have subspecialists who perform consultative cardiology, are specialized in noninvasive cardiovascular disease which includes echocardiography (using sound waves to diagnose structural heart disease) as well as nuclear cardiology (which entails using stress nuclear imaging to diagnose cardiovascular disease and arterial disease). We also have specialists in the electrophysiologic management of arrhythmias. Our specialists can implant pacemakers, do heart catheterizations and perform coronary interventional procedures including angioplasty and stenting. We all agree that getting regular dental cleanings is easier and better than ignoring them and getting dentures or gum disease. Shouldn’t our hearts deserve the same courtesy as our teeth?